Gilder Lehrman Collection #: GLC03168 Author/Creator: Stevens, Frank E. (b.1856) Place Written: Chicago, Illinois Type: Book signed Date: 1903 Pagination: 1 v. : 323 p. , 4 p. of plates : ill. ; 26.4 x 17.4 cm. Summary of Content: Signed and published by Frank E. Stevens, 1205 Chamber of Commerce Building. 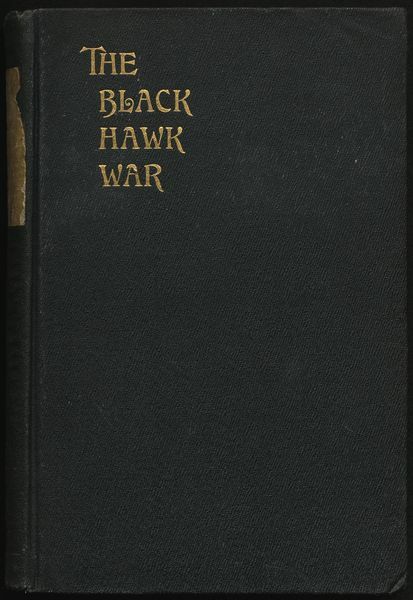 Discusses the events of the 1832 Black Hawk War in which Sac and Fox tribes, under the leadership of Black Hawk, fought against United States army and militia troops in Illinois and Wisconsin. Includes appendices on the participation of Abraham Lincoln and Jefferson Davis in the War.